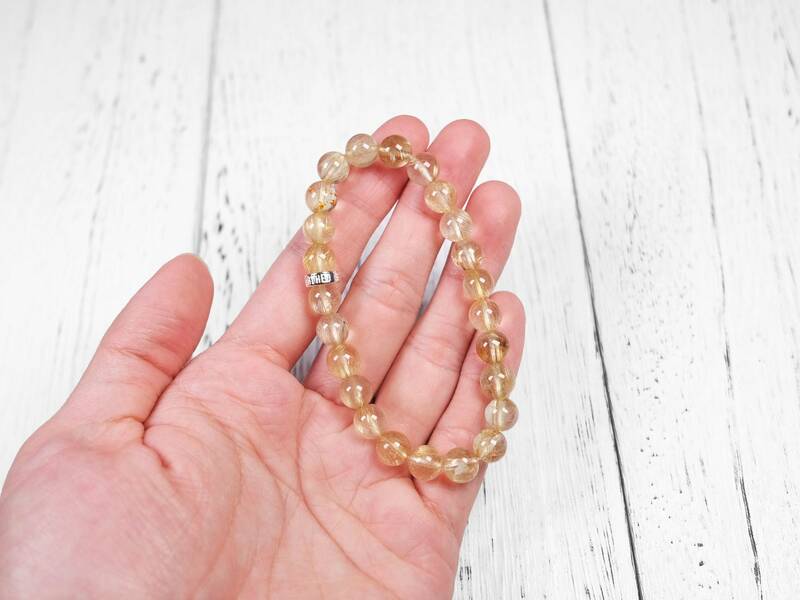 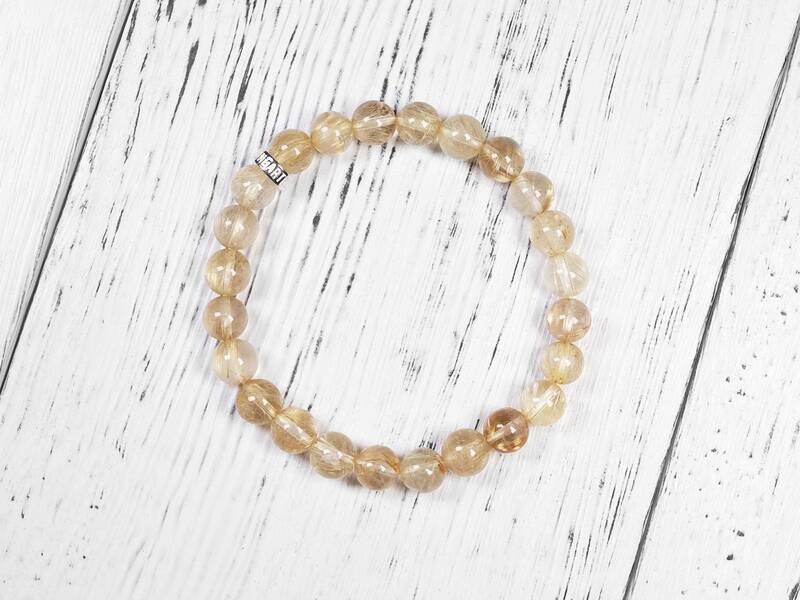 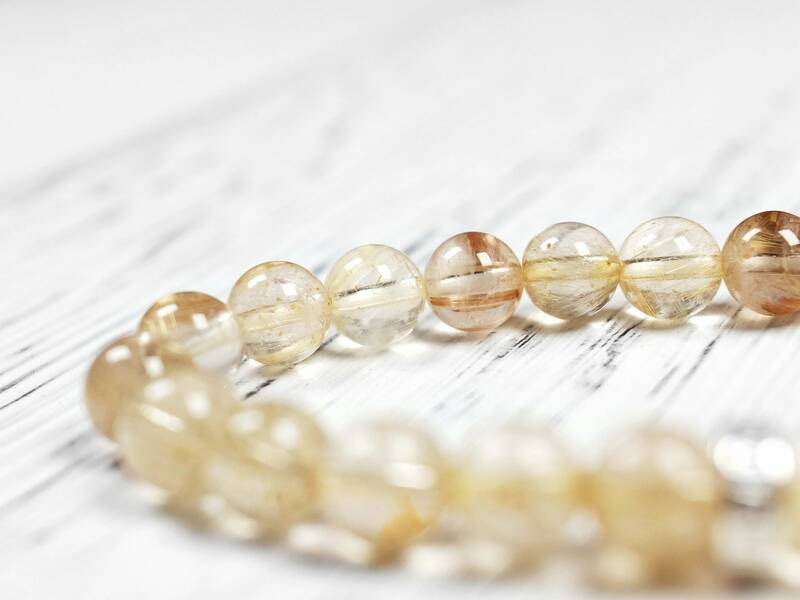 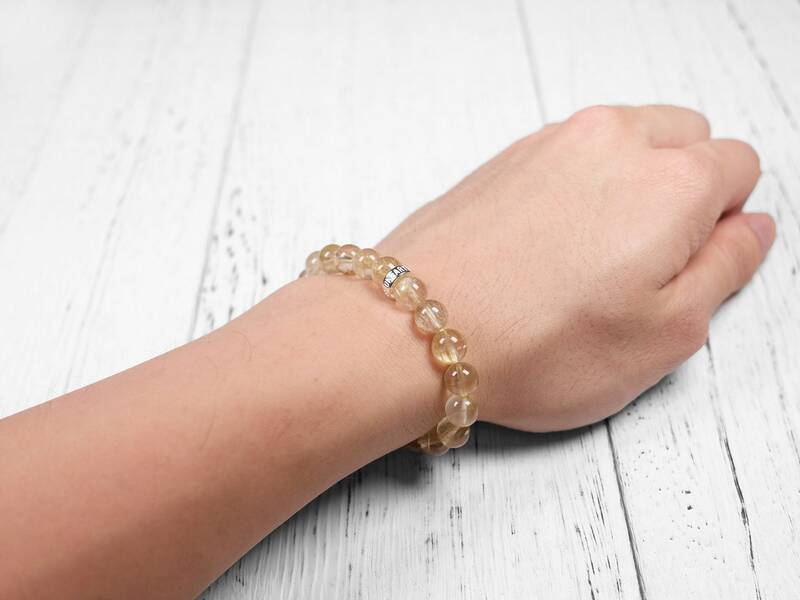 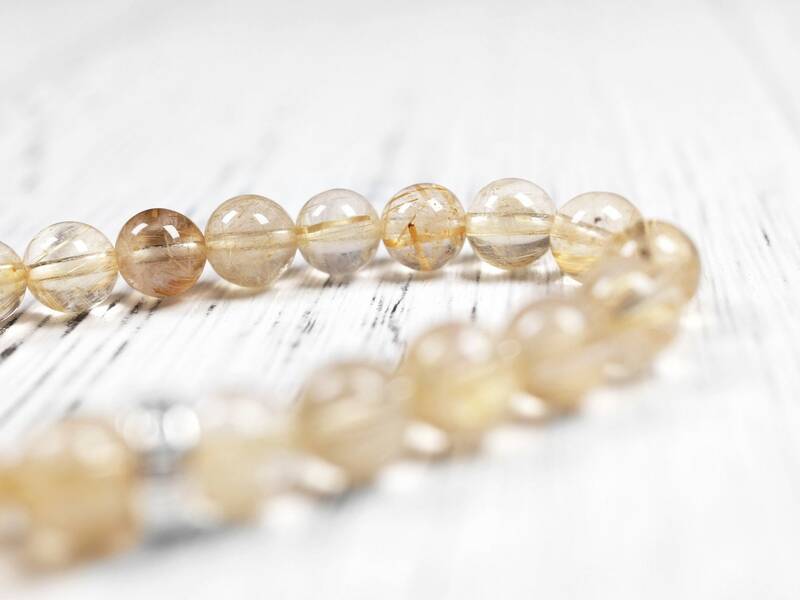 This gold rutilated quartz bracelet is a natural and genuine one. 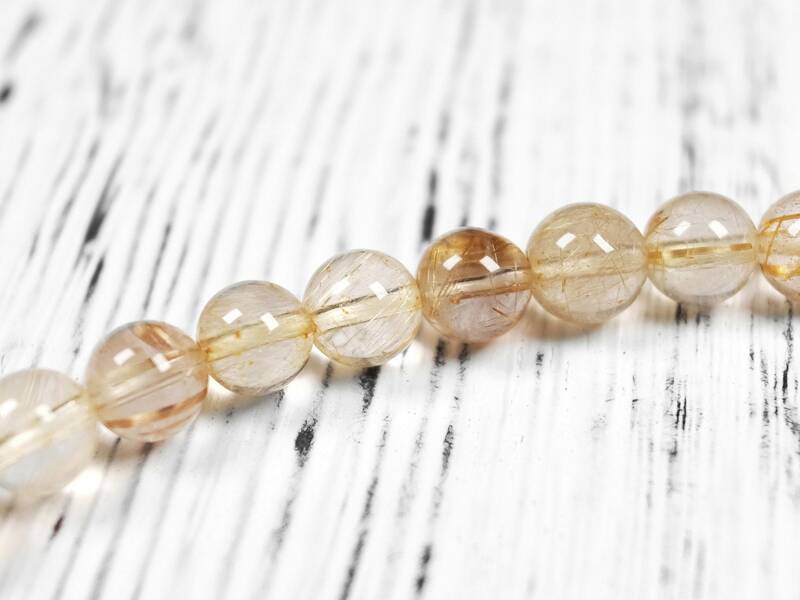 A moderate amount of thin rutiles are in the crystal. 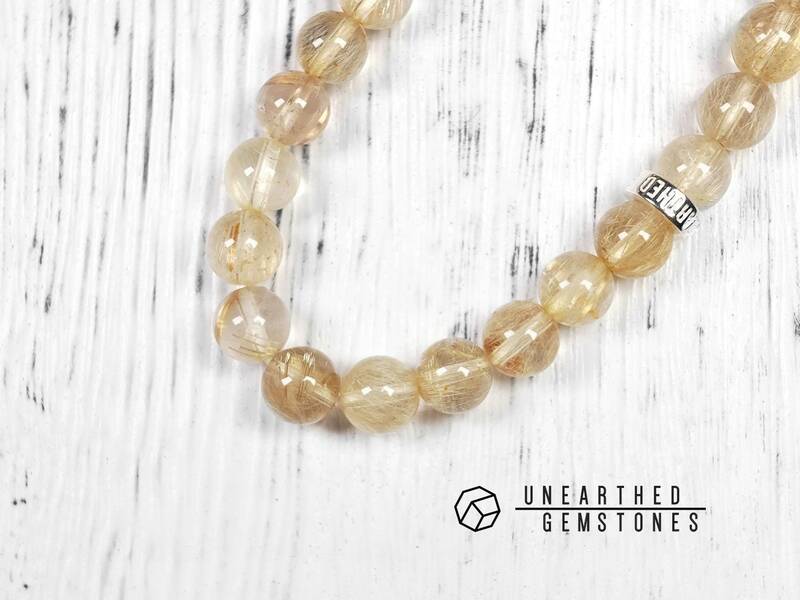 There are some natural inclusions and fractures as it's a natural gemstone. 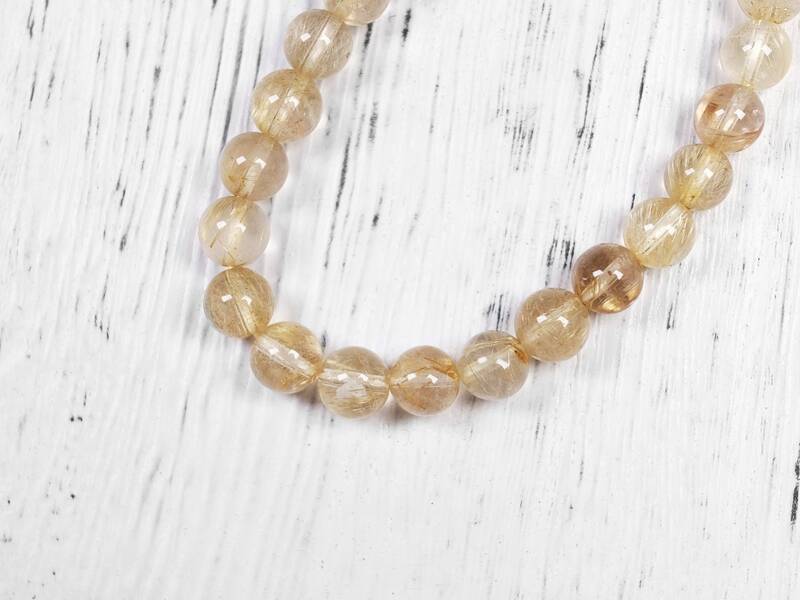 Overall good quality gold rutilated quartz for this price. 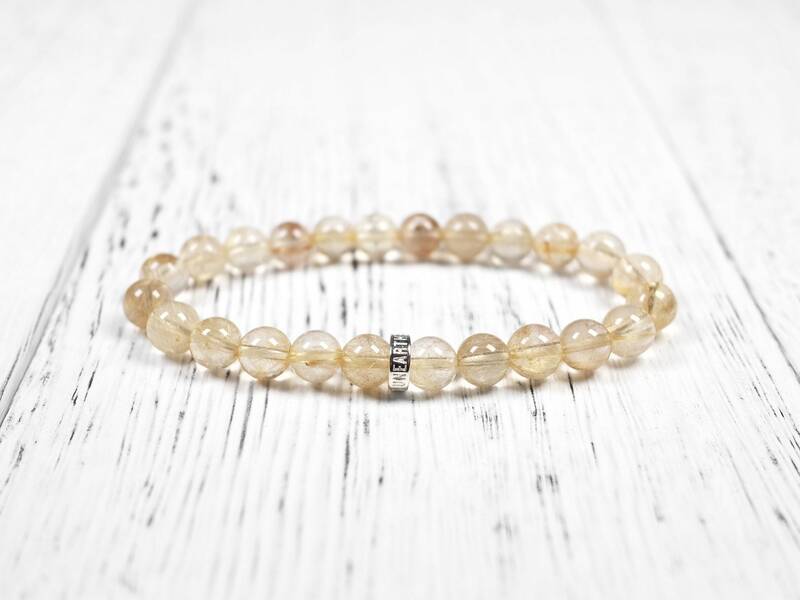 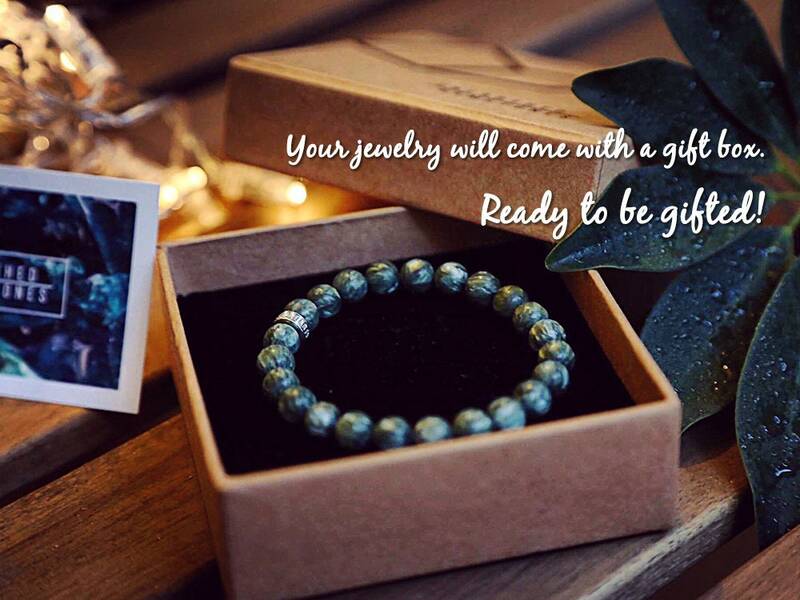 With the Unearthed Gemstones sterling silver, this bracelet is a great way to wear this intriguing gemstone.